BASEL: Roger Federer has revealed that he has been suffering with a hand injury since the summer, but said the problem is no longer a worry as he heads into his home Swiss Open starting on Monday. The 20-time Grand Slam winner told Germany´s Sonntag Zeitung of the problem which began when he trained for the grasscourt season. 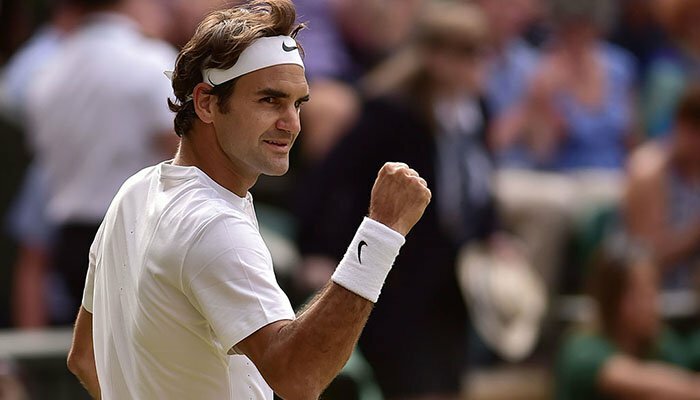 “I hurt my hand training at the start of the grass season,” Federer told the newspaper. “It´s had more consequences than I thought. I dragged this pain for about three months. The 37-year-old Federer will start his bid for a ninth Basel title on Tuesday when he plays Serbia´s Filip Krajinovic and could face a revenge match in the second round if he and John Millman both advance. The defending champion ranked third in the world, takes the top seeding with German Alexander Zverev seeded second after losing in the first round in his only previous appearance here four years ago. Stefanos Tsitsipas, who on Sunday became the first Greek winner of an ATP tournament when he triumphed in Stockholm, makes his Basel main draw debut as the fourth seed and faces off against Frenchman Jeremy Chardy.